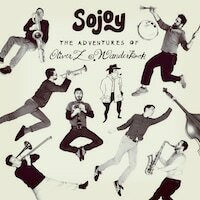 Sojoy's latest album represents 10 years of working on the Wanderkook Project and corresponds with the debut of the theatrical production of the same name (see “Seacoast Jazz News” above). The recording is the official soundtrack of the stage show The Adventures of Oliver Z. Wanderkook about a fictional explorer’s epic journey to meet the Nine Tribes in the Land of the Two Suns. New Hampshire Theatre Project presents Circulus’s production of Jonny Peiffer’s The Adventures of Oliver Z. Wanderkook at West End Studio Theatre, Portsmouth, New Hampshire, and Portsmouth Music and Arts Center June 16-25, 2017—Friday/Saturday at 7:30 pm, Sunday at 2:00 pm. Tickets are available on line at $25.